This weekend is pretty light and Donut starts obedience training on Sunday so that should be fun. Make sure to follow along on Instagram if you want copious amounts of dog videos. I’ll let her kick off this week’s Five Things Friday. I think this is a given. If you missed it, you can read my post about her here. I love her. You all know I love me some tea, and I’ve been really excited to try out the samples that come in my monthly Sips By box. This was the first time I’ve tried Lapsang Souchong and it’s so magical. The leaves are pine-smoked (whatever that means), and the tea is left tasting smoky, woody, and a little like fire. I’m seriously obsessed and didn’t know tea could have such a powerful taste. *Don’t forget, if you’re interested in trying out Sips By, you can use the code FORERIN for 50% off your first box. 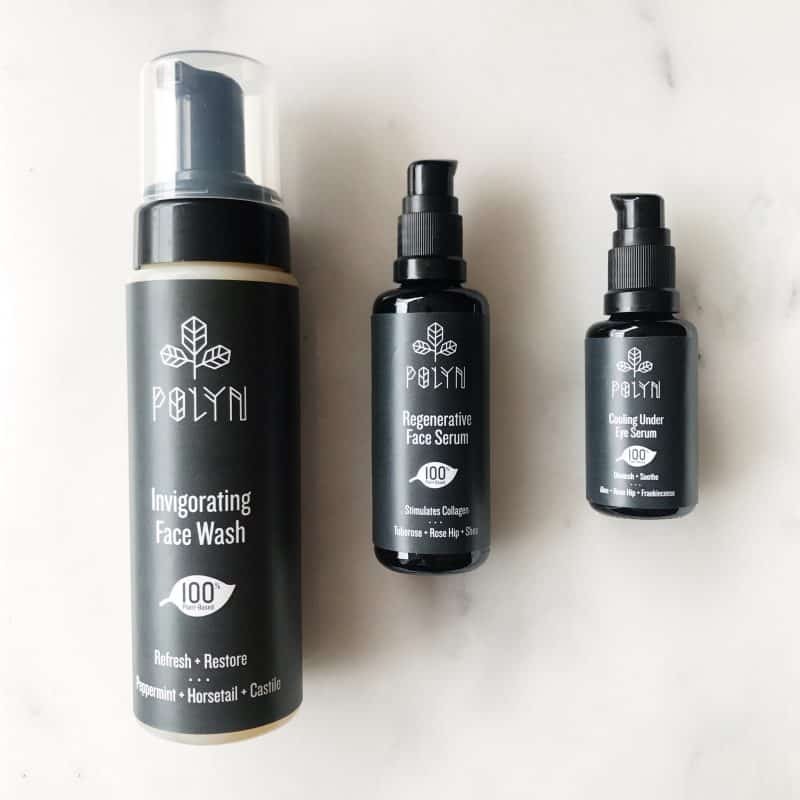 I was sent some samples from Polyn, an all-natural skincare line. I still love my prescription strength creams for when my skin starts to get really out of control, but I feel like I have to rely on them less the more that I use calmer products. I’ve been using more gentle products since going to the dermatologist a couple years ago and being prescribed a skin care regimen that surprisingly consisted of several over the counter products. I love this packaging and the natural ingredients that my skin also seems to like. I haven’t been using them that long, but I will report back and let you know how they work out! I’ll admit I don’t use a ton of tahini, but that’s mainly because I don’t really know what to do with it. Do I just put it on things like a sauce? Do I mix it with other things? Help me. Soom offered to send me two of their products and when I saw chocolate was involved in one of them, I definitely agreed. I’ve been using their chocolate sesame spread on my English muffins and it’s really good. I also put my cherry jelly on it too which took it to a whole new level. This one is related to tahini (minus the eating of it). 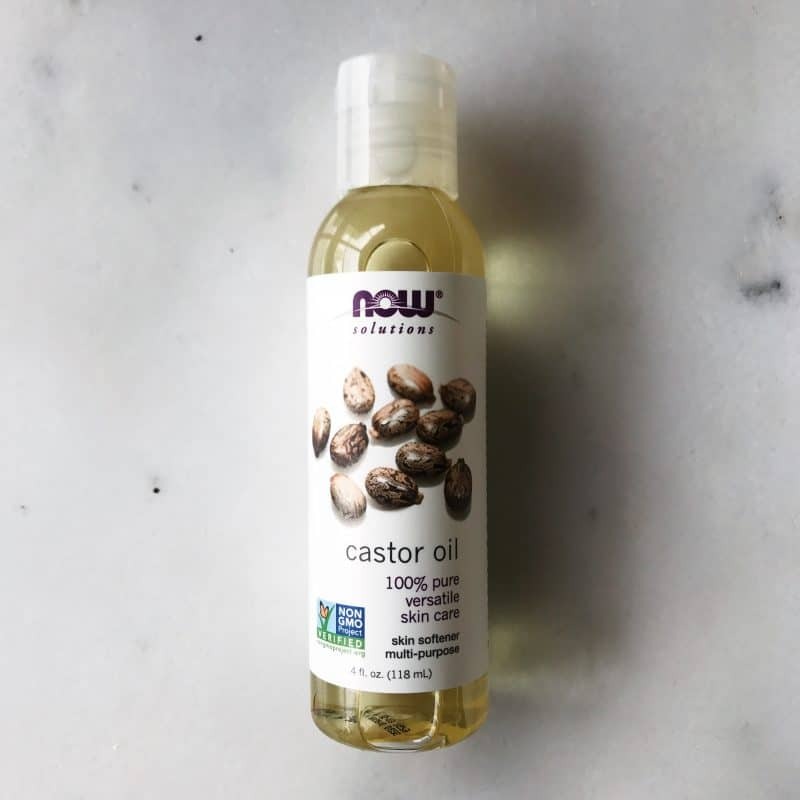 I got this castor oil from NOW Foods because when I got my eyebrows tinted last month I was told I have a sparse patch on one side and I should start using castor oil to stimulate hair growth there. I’ve been using it about a week and I think it’s supposed to take a little longer than that to start working, so I will keep and eye on it and also report back! That’s all I’ve got this week friends — have a great weekend and I’ll catch you on Monday! 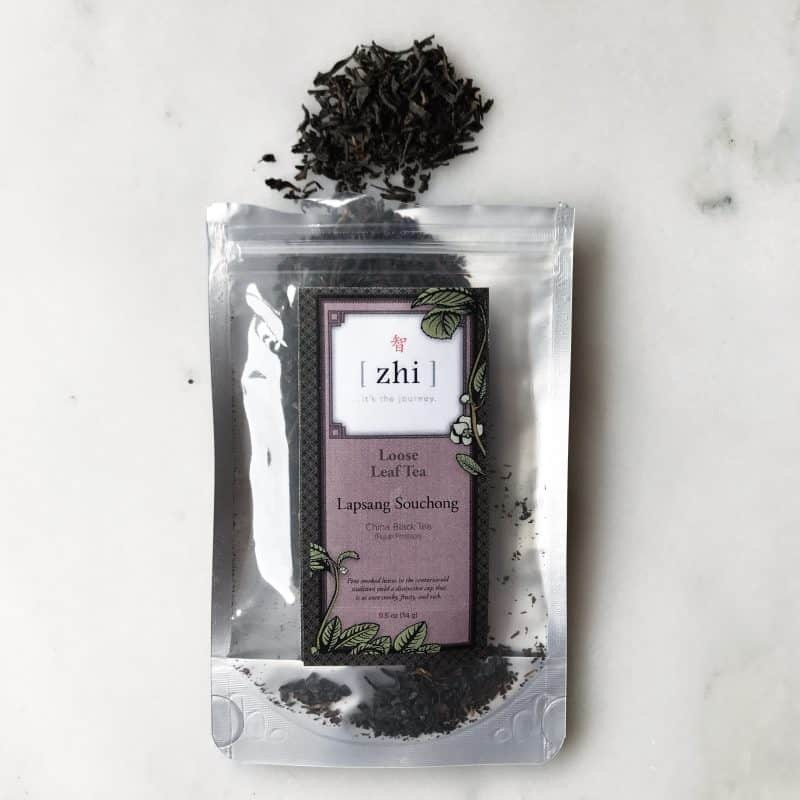 Lapsang Souchong is such a funny name! I’ve never heard of it, but it sounds good from your description! And, Donut is super cute! Make tahini brownies. The Healthy Maven has a recipe and they are so good. Ooh good suggestion. Love Davida! Sesame chocolate spread? Gotta get my hands on that. Donut is ADORABLE!! Carrie this fit chick recently posted…What’s the Difference between Macronutrients and Calories? 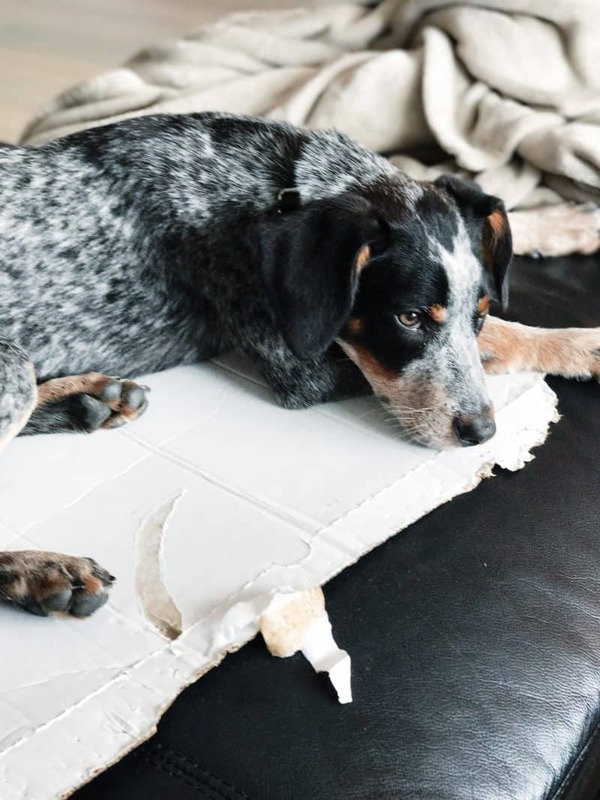 Don’t worry, that obsession with the pupster isn’t going anywhere! I’ve heard that tahini is good for a savory sauce/dressing! 🙂 And Donut. She’s just. so. adorable. Emily recently posted…Why Do We Blame God When We Could See His Grace Instead? I like to throw in thinly-sliced red bell pepper and mushrooms; you can also use the sauce on soba noodles to delightful effect! You can also make flourless cookies using tahini, honey, egg, and some dates or walnuts or whatever you like for texture. That all sounds amazing! Thank you! Hey Erin, you mentioned how your brows are sparse in one area. Look into microblading. It is kind of like a tatto but much more real looking. I just got it done. It was also suggested to me to use castor oil on my eyebrows, but the cats then want to lick it off. Ew! hahahaha. Castor oil is supposed to help with a lot of things. I’ve used it throughout the years but never noticed a big difference. Megan @ Skinny Fitalicious recently posted…4 Question Survey + This Is Life 6! I’d be interested in how to use tahini, t00. 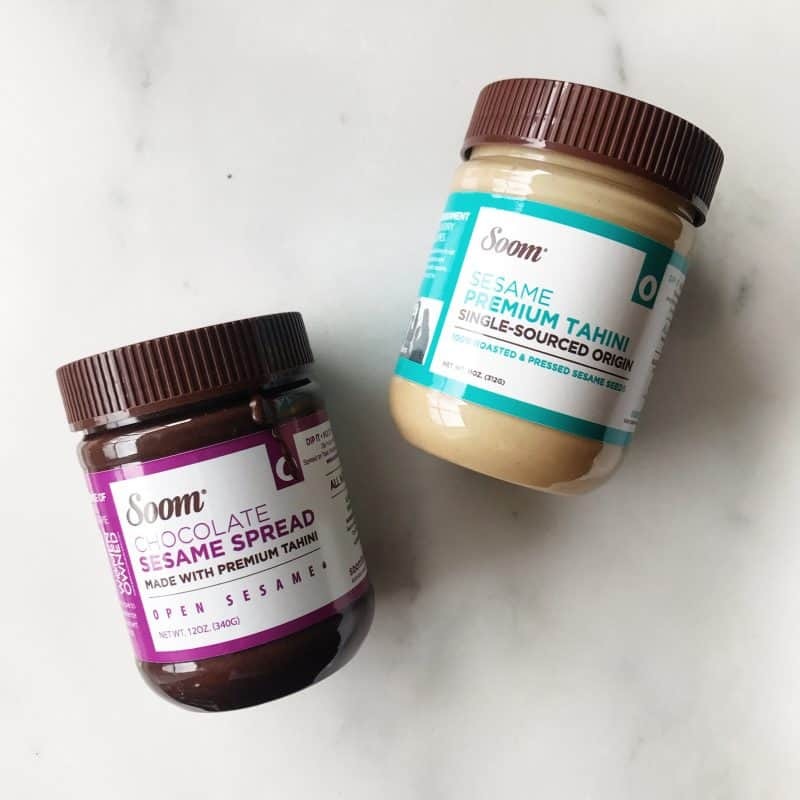 The Soom products look fantastic–especially the chocolate spread–and I may have just ordered some, thanks to this post. Donut is adorable! I miss having a dog. But the cats and the tortoise are probably grateful…Megan @Skinny Fitalicious had me use castor oil when I was injured running last year. You put it on the injury, put a barrier over it, and apply heat. It seemed to help. No idea about hair growth, though. I have the exact same thoughts with tahini! I know it’s bomb on falafel and will add it to my salad… if my salad contains falafel. But other than that, I just don’t know what to do? Whenever you figure it out, let us know! Is it like hummus, is it like salad dressing, I need answers! nice! pine smoked simply means the tea leaves, during processing, are smoked over a pine wood fire. the result, smoky chinese black tea goodness. Thanks Jeffrey! However it’s made it’s delicious!